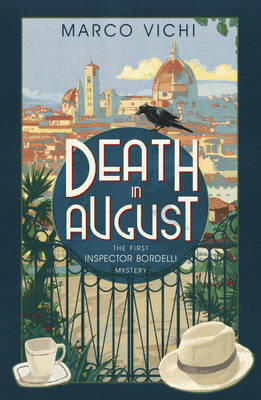 The first installment in Marco Vichi's series featuring Inspector Bordelli of Florence, Death in August takes its reader back to the 1960s (1963 to be exact), and a very hot and mosquito-laden summer. Pretty much everyone has left town for the seaside, but someone has to man the store, so Bordelli stays behind. He is soon called to the scene of a rather odd death -- an elderly woman has been found dead in her bed, and the doctor says that she died to an asthma attack, brought on by a severe allergic reaction. Strangely, the bottle of medicine she normally used is sitting on her bedside table, cap screwed on tightly. Bordelli knows this was no ordinary death by natural causes, and sets out to find out who is responsible. He has his suspicions, but everyone seems to have an alibi for the time of death, which the doctor feels is accurate. It's not going to be an easy case for Bordelli at all. Although the mystery is solid and the crime's solution itself is a bit perplexing, it takes Bordelli forever to solve it. Actually, that's not so much due to the work of Il Commissario, but of his creator, Marco Vichi. He spends a great deal of time developing atmosphere, setting and his characters, so that the story is more focused on all of these elements rather than on the crime itself. And he does give his readers an interesting cast of people -- there's a scientist who spends his time coming up with crazy inventions that will never sell, a trattoria owner whose dishes tend to swim in fat, a burglar with a passion for dance, and others who seem just as offbeat. Then there's Bordelli himself -- a policeman with a great deal of compassion, something he learned from his father's experiences in the war (memories of which still hang over Italy like the cloying heat of the summer and clouds of mosquitoes) against the Nazis. He is not averse to hiring ex-cons or helping them out with a couple of thousand lire here and there, hoping that they won't have to go back to a life of crime. Normally the first novel in a crime fiction/mystery series is a bit iffy because most of the elements mentioned above tend to be glossed over in favor of getting the crime solved, but in this book, it's a vice-versa situation. There's so much character development and foundation laying that the reader really doesn't get a good handle on Bordelli's detection abilities, so that even though the solution to the crime is a bit ingenious, there's not a whole lot of buildup to getting there. For crime fiction readers who want their fix of detection and a buildup of clues and suspects, it's a bit of a letdown. Hopefully the author will rectify the situation in following installments of the series. There's one more thing worth mentioning, and that is a scene in the novel where Bordelli is reflecting back to a time in his childhood where (and there's no getting around just laying it out straight) he's being sexually abused by a girl charged with taking care of him. The author paints it like it's not a big deal, and I'm sorry -- that's just not right. Granted it hearkens back to building Bordelli's character, but really. That is not only not cool, but it was quite unnecessary. Perhaps it's asking too much, but I would have thought the editors might have had some concerns about leaving that part in. While I thought the scene-setting and the character development was done pretty well, and I enjoyed the compassionate side of the main character, the mystery aspect just sort of fell flat for me. If this is supposed to be a mystery novel (and this is confirmed by the subtitle: "The First Inspector Bordelli Mystery"), the author needs to amp up the crime, add a longer list of suspects and give his readers something they can sink their teeth into. But once again, as I scan its ratings all over the internet, the book is getting 4-star ratings in multiple places, is being highly recommended by many people. 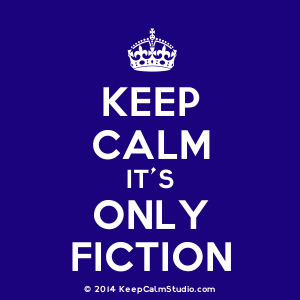 So perhaps I'm much more of a demanding crime-fiction reader than most people and I'm being a bit picky. I've just bought the second book in the series, so hopefully since we already know so much about Bordelli (probably a little bit too much, actually), the next installment will focus more on the crime. Nancy - Thanks for the thorough and fine review. I couldn't agree with you more that there are some things that just don't need to be in a novel. If the plot demands them, then yes, at least treat something like the abuse you describe as the harrowing experience it really is. A very good point. Sadly, it did not link up to any kind of harrowing experience, but rather the opposite. I agree with you, Margot, 100 per cent!